Christmas and New Year's Eve are, for most women and girls, the moment to show their fashion sense to the world and they like to go all out. I, on the other hand, prefer to dress it down for Christmas and wear something more special on New Year's Eve. Who doesn't love to start the new year looking their best? 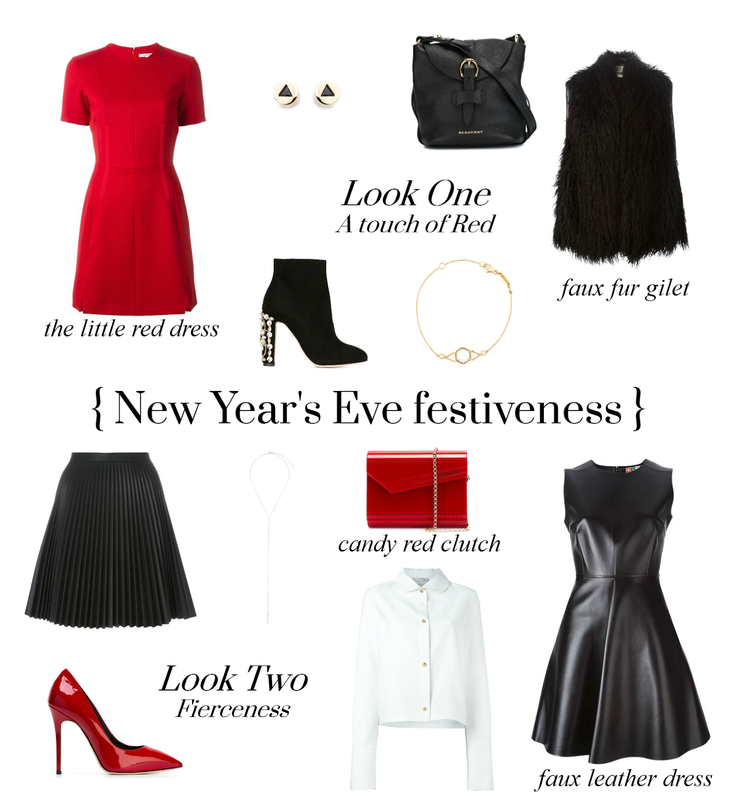 I created my New Year's Eve wishlist early this year because I always think about planning my outfit when it's too late to go shopping. If this happens to you too, then don't worry! I've got you covered! Every item (and more gorgeousness) can be found on Farfetch. Side note: the items I picked (sadly) aren't animal friendly, so I'm using this to inspire you (and myself). I, personally, am going to try to recreate this look using cheaper brands and items that are made of faux-leather or non-woolen fabric. This post is a collaboration with Farfetch.